Morrisons commitment to offering healthier choices covers both our customers and our 131,000 colleagues. In collaboration with Unilever Food Solutions we have developed a new menu for our staff canteens across the country. 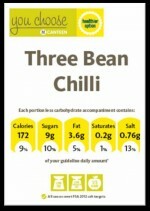 This expands the healthy choices on offer and will be rolled out in September 2012. New recipes include guidance for cooks to help produce nutritionally balanced dishes. For example, adding salt is not recommended and colleagues are encouraged to minimise the use of oil. 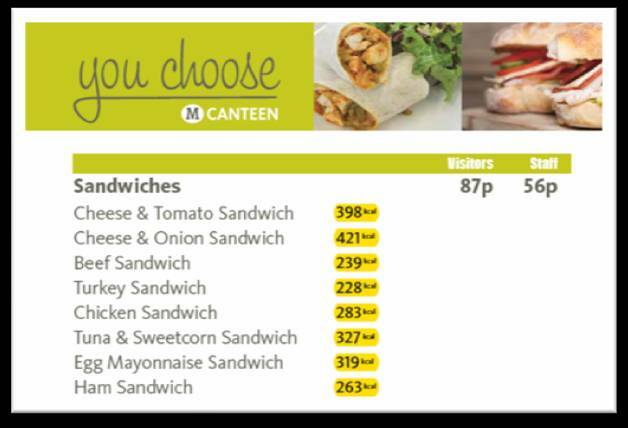 To help our colleagues make informed choices about what they eat, our staff canteens will display calories at point of choice, which includes the price list and menu boards. We are already displaying calorie information in our customer cafes as part of the Responsibility Deal. Healthier options will be clearly signposted not only with calorie content, but nutritional icons explaining what makes the dishes healthier. This initiative supports the healthier staff restaurants pledge, and builds on the steps we have already taken to help colleagues achieve a balanced diet.